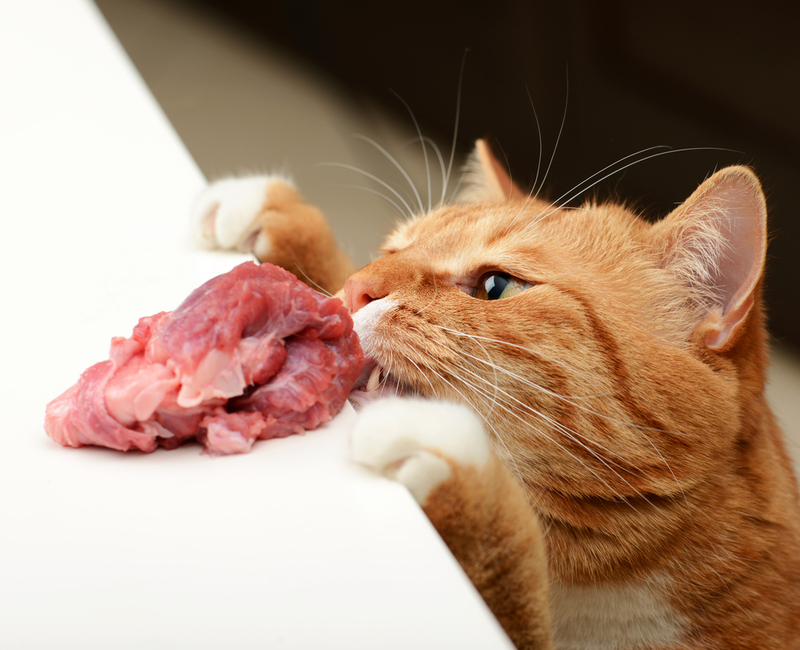 Should I Feed My Cat Meat? Many pet owners believe that the best food they can offer their pets is meat. Unfortunately, this is a wrong opinion. The owners often support their position with the idea that cats and dogs are predators, and therefore it is best to feed them with “animal food”. The owners who have no clue about proper nutrition for their pets believe that some owners feed their animals with some other food solely due to a lack of money. Meat is very rich inphosphorus but it also has very little calcium. The ratio of these elements in horsemeat and beef is about 1:10, and when it comes to the heart and liver, it reaches an enormous value - 1:50. If you give preference to these foods, the cat’s dietmay lead to the development of hyperparathyroidism. This disease affects the thyroid gland and it entails a reduced mineralization of the skeleton. 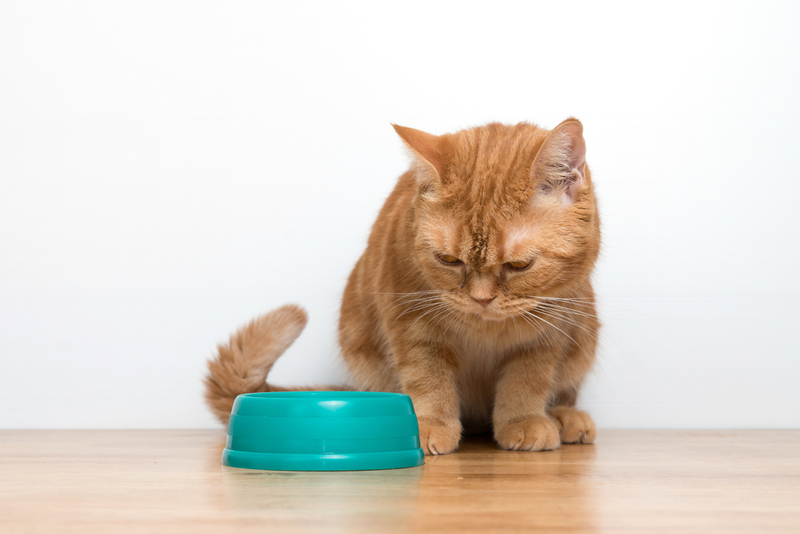 If you feed your cat exclusively with meat, then you will significantly increase the likelihood of your pet developing animal hypocalcemia. This means that the amount of calcium in the blood will be significantly below normal. The animal's body will begin to produce a hormone that will try to maintain a sufficient level of calcium in the blood, pulling it out of the animal's bones. This, in turn, will significantly weaken the whole skeleton – the bones will grow and develop the wrong way. As a consequence, bone tissues will be replaced by fibrous tissue, parathyroid glands will grow and it will result in the development of dietary secondary hyperparathyroidism. This disease is most common in kittens that had awrong nutrition. If you start feeding a kitten meat, it will cause poor bone growth and many health issues throughout the whole animal’s life. There is not much calcium in other foods, such as cereals, wheat grains, fruits, and nuts. It is important to note that many pet owners often complement meat with cereals when feeding their pets. This is wrong since the excess of phosphorus in the animal’s body will interfere with the absorption of calcium. There are some other factors that can also have a negative impact on calcium absorption, such as gastrointestinal diseases, thyroid gland diseases, renal failure and so on. In addition to these factors, some breeds are susceptible to hypocalcemia (including Siamese cats, Sphinxes, and Cornish Rexes). If you don’t start the treatment of this disease in a timely manner, it can lead to the deformation of the tubular bones and the spinal column, disruption of the cats' birth activity, respiratory diseases, and neurological problems. The symptoms of secondary hyperparathyroidism include limping, muscle pain, limb curvature, misalignment of newly formed teeth, destruction of the sternum, and neuroplastic disorders. If your cat has symptoms similar to the ones described above, then you should definitely contact a veterinary clinic. However,you shouldn’t run to the nearest clinic – first, you need to ask whether it offers all thenecessary diagnostic methods. Dietary secondary hyperparathyroidism might be determined with the use of anamnestic, clinical, and radiological examinations. It will be great if the clinic will have a laboratory and an x-ray room. If the disease is detected at an early stage, then all it takes to cure it is to change the cat’s diet. First of all, you will need to introduce new foods that are rich in calcium. You can also give your cat some additional sources of calcium (supplements), but only a veterinarian can prescribe them. If the disease has any complications or it was detected at a late stage, then calcium supplements should be given intravenously. If the animal has fractures or neurological diseases, they can begiven painkillers and symptomatic treatment (for example, osteosynthesis - fracture treatment) with minimal movement activity. Afterthe nutrition has been adjusted, then it will take a long time for a cat to recover. The symptoms of the disease might be observed for several months. The owners need to carefully observe the recovery process – they should take the pet regularly to an x-ray and thus monitor the restoration of skeletal mineralization. But, as you know, it is always much easier to prevent the disease than to treat it, so it is best to choose a balanced diet for a cat since its early years. Do not feed animals meat without adding foods rich in calcium. Furthermore,makesure your pet gets a proper and balanced diet. Lover of Japanese culture, cats, and self-help hacks. The biggest cat online store.